Ever wanted to have a taste of Chinese food? Now you can! 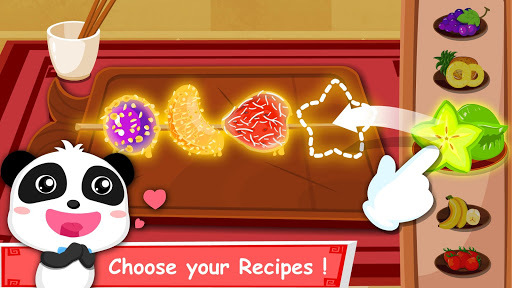 BabyBus kids apps bring you a kitchen cooking game,that is, Panda Chef, Let’s cook!, where you can cook within a multiple recipes. Pick ingredients, prepare food and explore cooking in your own way. You can also decorate your dishes with different toppings or condiments. Dress up as mini chefs, and clean up the messy kitchen! Don’t forget your chef’s hat! 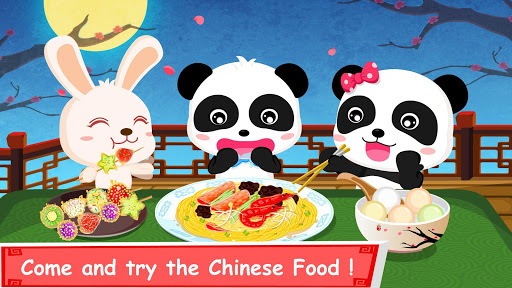 *Choose from 4 Chinese delicious dishes and snacks. *Cook them in different ways, Boil, chop, Steam, fry, Puree and more. *Varieties of ingredients and condiments to be prepared. *Exploring cooking by using varieties of ingredients in creative way. *Useful kitchen tools: whisk, flour stranding machine,rolling pin and more. 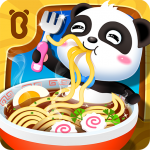 *Cute characters to cook for – each with their own favorite food! *Choose your favorite kitchen sauce: soy, sesame, peanut sauce and more! *Funny character reaction will make you giggle. *No rules or stress, kid-directed fun. 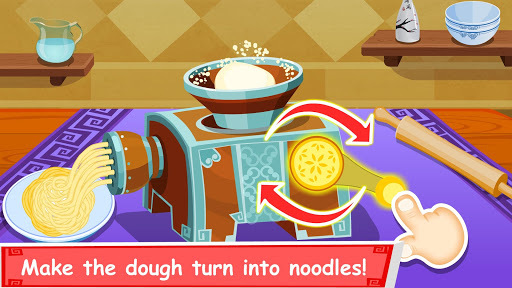 *Create different flavors of green and healthy noodles in kitchen. 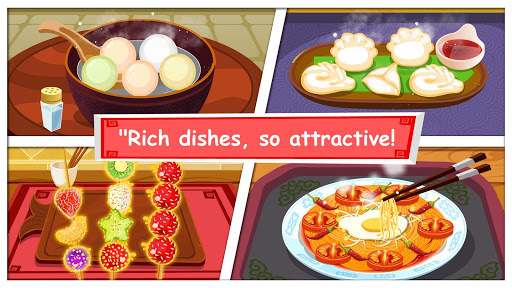 *Cook delicious noodles and serve your customers. *Varieties of fruits to be chosen to make your special dishes. *The appealing sugar-coated fruits look brightly red, tempting you to bite. *Prepare dumpling wrappers and filling. *Various cute dumpling shapes to choose. Just have a try and cook! *Choose your favourite flavor and blend it with honey. *Wrap them with glutinous rice flour and cook in a pot. 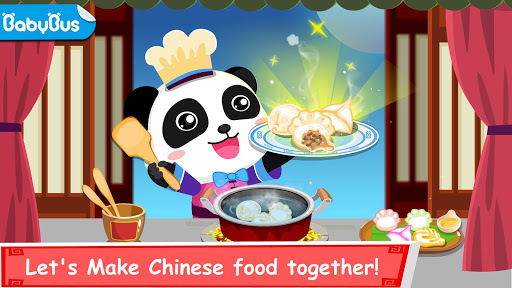 Free to enjoy cooking the delicious Chinese recipes! Create them on your own way, and make it later at home! At BabyBus, we dedicate ourselves to sparking kids’ creativity, imagination and curiosity,and designing our products through kids’ perspective to help them explore the world on their own. Now BabyBus has offered a wide variety of products, videos and other educational content for 250 million fans aged 0-6 around the world! We have produced more than 150 children’s educational games, 700 children’s songs, and animations of various themes spanning the arts, health, and science.